We are living in a moment of global tensions around nationalism: about the fundamental morality of borders and boundaries, about the relationship between solidarity and violence, about the role of ethnicity in shaping national identity, and about the parameters of criticism within a framework of loyalty. 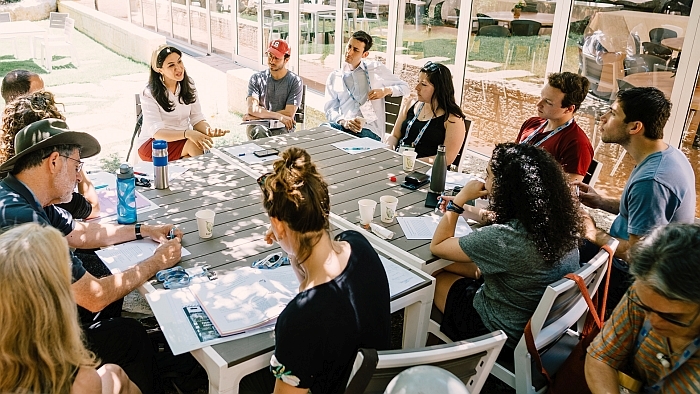 Join us in Jerusalem this summer to explore what all this means for American Jews, for Zionism, and for the State of Israel. What should the relationship between loyalty and criticism be within the lived reality of nationalism? What are its limits? How might we negotiate the tension between solidarity and violence, both of which can result from tribal affiliation? How can we engage with nationalism in a way that allows for the existence of competing values? And most of all, how might we bring to bear the intellectual and spiritual resources of Jewish tradition in defining a better Jewish conversation on these contentious topics?